We offer a vast range of superior quality bench centres, which are extensively used for general inspection work in metrology laboratories and other industries. Our range includes cast iron bench centre, mini bench centre, vertical bench centre, universal bench centre and many other. These bench centres are known for delivering better durability, reliability and performance in the defined operations. Further, we also customize these bench centres as per the specific demands of clients. We offer a qualitative range of Cast Iron Bench Centers that are an accurate and quick method for inspecting radial run out of camshafts, crankshafts, and cylindrical shafts. These are manufactured as per IS:5980-1978. The base of the bench center and its heads are stress relieved. One of the centers is spring loaded to ensure uniform pressure while holding and easy loading and unloading of work. Centers are made from high carbon steel hardened and ground finish, having morse taper MT-3 and are replaceable. Both heads are adjustable for easy and quick setting of the required distance between centers. The bed of the bench center is provided with two T-slots parallel to each other. 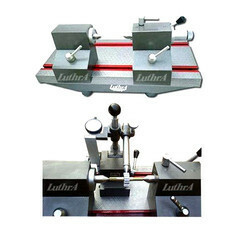 We are leading manufacturer of Universal Bench Center. 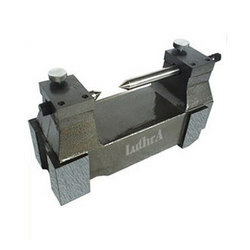 For checking Concentricity, Parallelism, Axial Run-out, Taper Angle and Taper form. 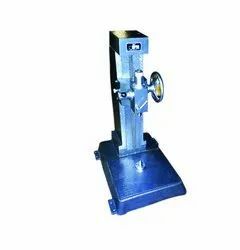 We are among one of the best leading companies that is preciously engaged in engineering industries in offering most prominent product Vertical Bench Center. Looking for Bench Center ?